Self-assembly monolayer (SAM) structures of lipids and macromolecules have been found to play an important role in many industrial and biological phenomena. 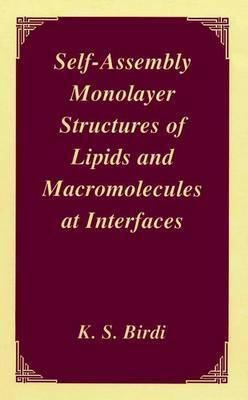 This book describes two procedures, namely the STM and AFM, that are used to study SAMs at solid surfaces. K.S. Birdi examines the SAMs at both liquid and solid surfaces by using the Langmuir monolayer method. This book is intended for researchers, academics and professionals.